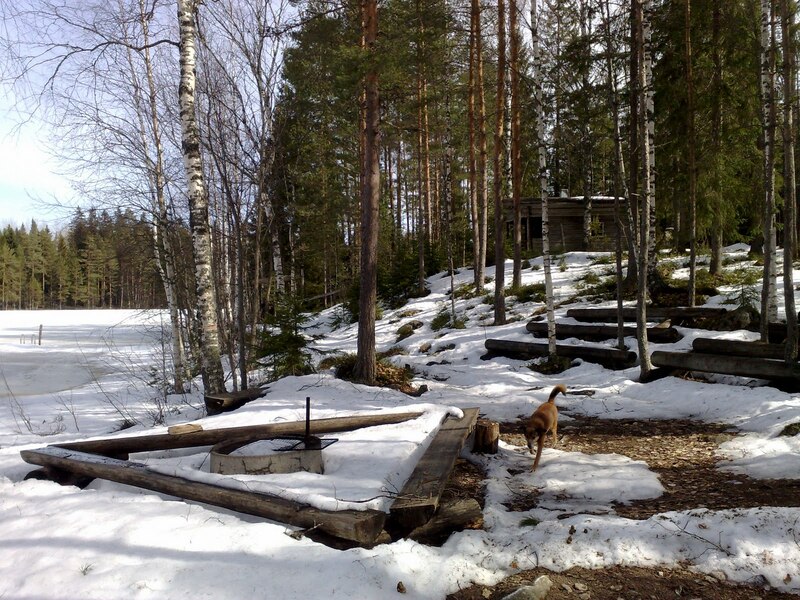 Perkele´s Blog: Day off, at cabin site. Day off, at cabin site. 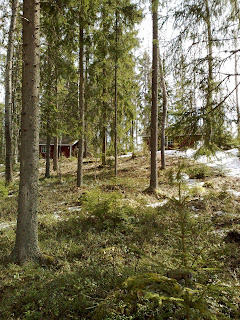 Today, i took a day off, and went to cabin site to vent some brain. 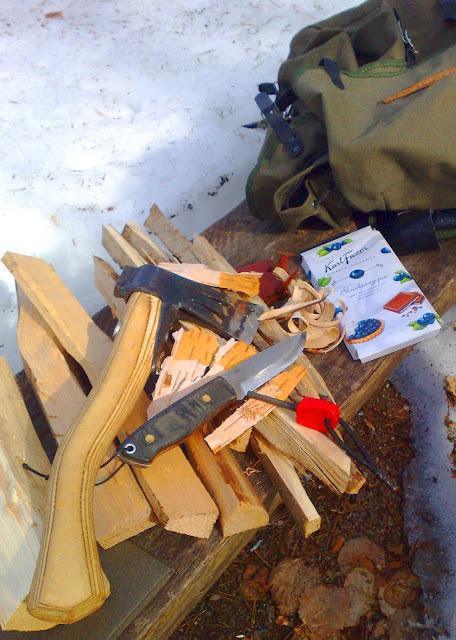 Pretty nice, after the knife course, although i love the job. Anyway, at morning i unwrapped my new pack, a Savotta 323, from my schoolmates Komiat Hetket company. 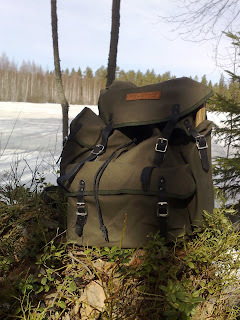 In the same package was also Savotta´s Loue shelter, a classic finnish old school styled lightweight weird looking gadget that is favourite among many hunters here in Finland,as well as long distance hikers. So i stuffed an axe, Bundeswehr sleeping mattess to sit on, some instant Nestle coffee, few bratwürst sausages, some Fazer Blueperry pie chocolate, Austrian army surplus canteen with its metal mug and few other items in the backpack and then we drove to the camping grounds in the relatively near woods. 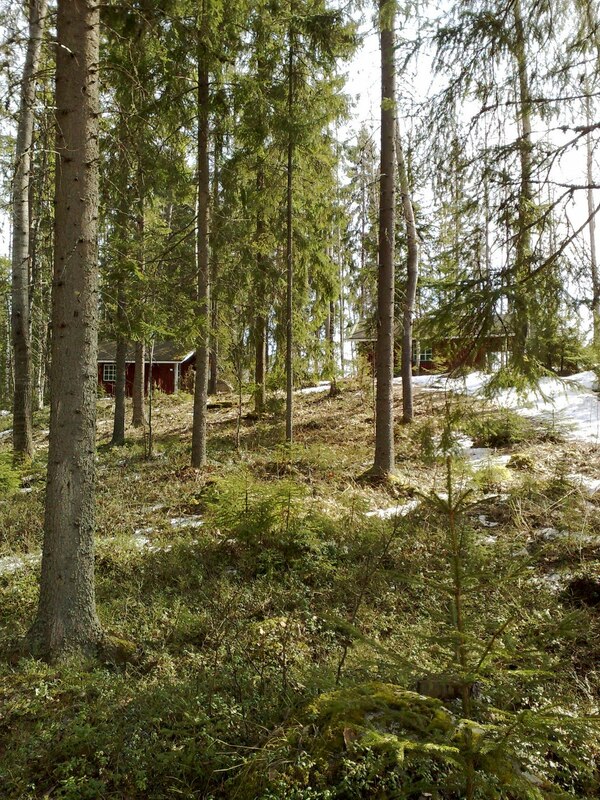 Since the last time i was there, the snow had melted a Lot indeed, and everything seemed well, nothing was broken or stolen, the roofs in cabins were ok etc. 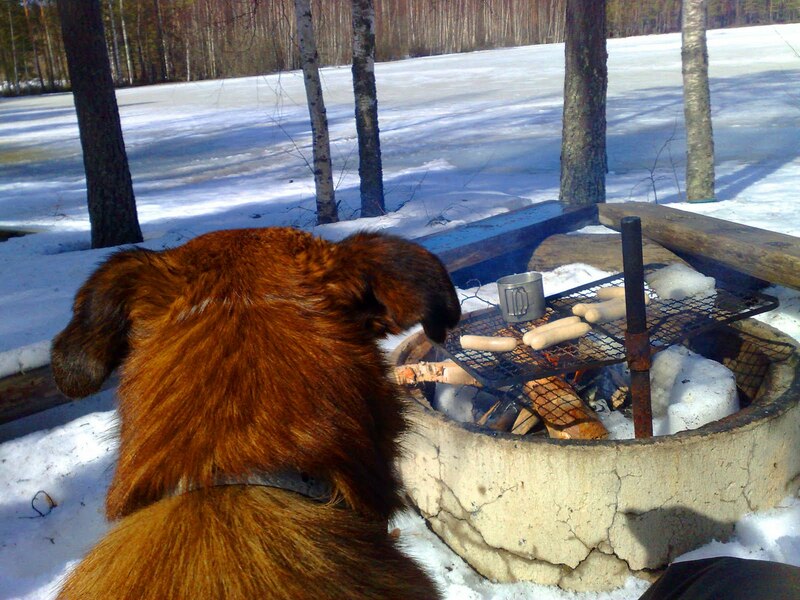 Prepping the firewood and drooling the blueberry chocolate. So i had nothing to do really, and i could just set a fire going on. 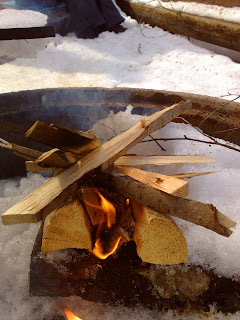 Carried a few wood pieces to the firering and made some crude sticks out of em, with the hatchet and then i scraped the birch barks surface into some dustlike stuff that caught the spark easily from the firesteel. Well, nothing special in that. Since i didnt do anything i dont even try to make up an interesting story or similar. 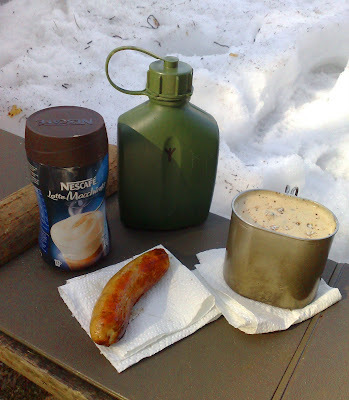 We boiled some water in the surplus mug in the fire as the sausages were getting ready and ate those, and then drank the tasty Nescafe Latte Macchiato instant coffee and munched the chocolate and just stared around to this melting snow and enjoyed the sunny day. 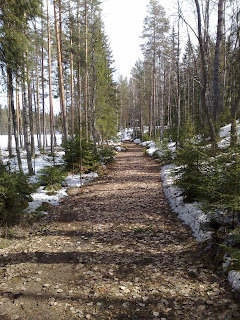 If id have had the time, i would have hacked an hole into ice and carried water in the sauna and heated it, and bathed but i had only a few hours today, so we had to skip that idea and head to home. 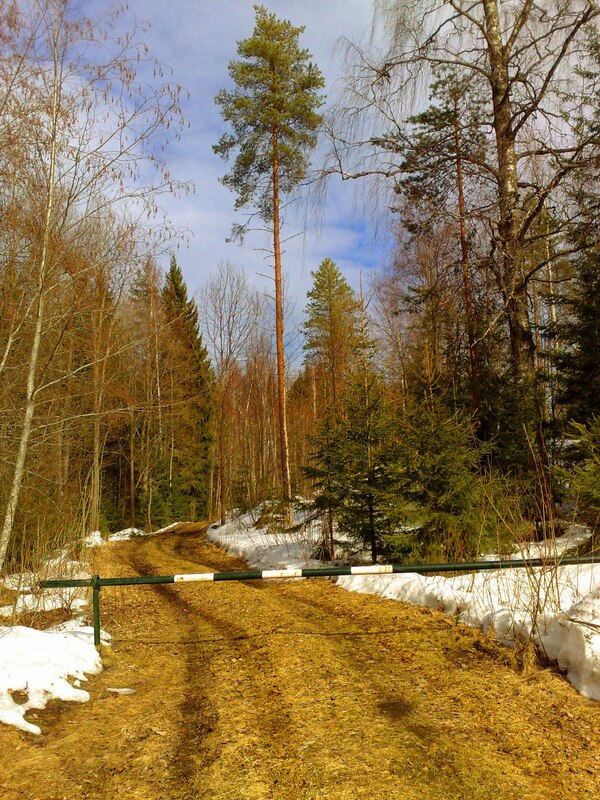 I locked the gates since heres been un-invited guests. This only stops folks coming with cars though. 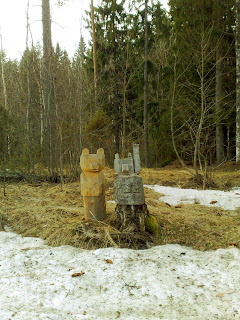 On our way back i stopped to pick up the wooden raw bear thats been in wellcoming people by the roadside. 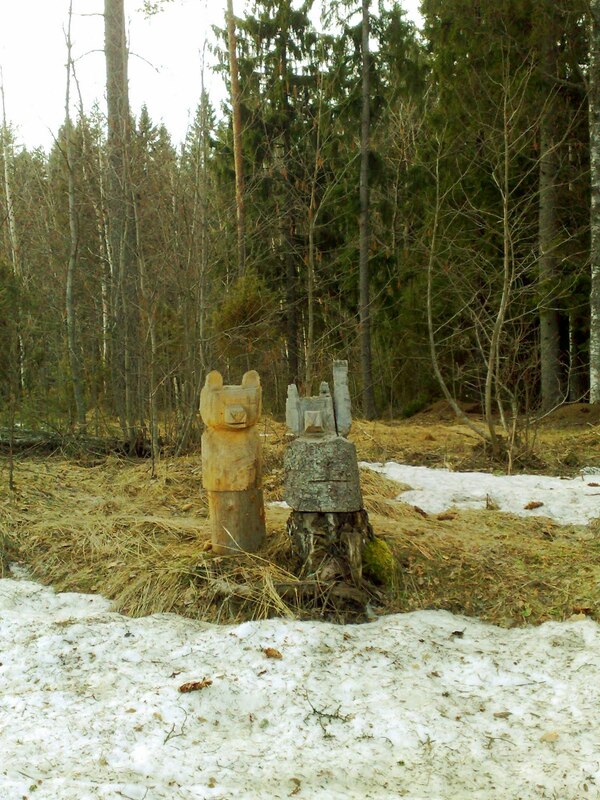 Now its back on its place next to its younger brother. 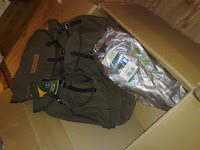 That Savotta pack should serve you well. I've seen their packs in the store before, and they seem rugged.